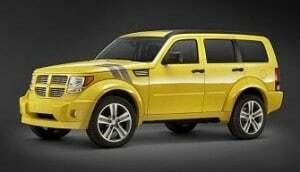 Oddly enough, Pelosi is now conspicuously silent about gas prices. No public comments. No press conferences. No interviews. Here’s a question for you: If Nancy Pelosi blamed high gas prices on “the oil men in the White House” back in 2008, shouldn’t she blame today’s high gas prices on the snake oil men in the White House? If the Justice Department weren’t in on this scam, they’d be investigating the bait and switch tactics the Obama administration uses on the oil industry. First you take billions of dollars from an oil company for an offshore lease, then you come up with an absurd excuse to stop them from drilling. Could the EPA have come up with a goofier justification to stop the drilling? You won’t believe what the EPA is worried about. 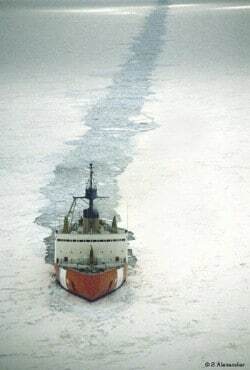 It said Shell didn’t factor emissions from an icebreaker into its calculation of the project’s greenhouse gas emissions and that those emissions could negatively impact the people living in the nearest village. The nearest village has 245 residents and lies 70 miles from the proposed drilling site. Meanwhile, we’re lending billions of dollars to Brazil to do deep water drilling and billions more to Colombia to build a state-of-the-art oil refinery. And, of course, we’re borrowing those billions from China. Upon further consideration, we take it back. This isn’t bait and switch. It’s a giant check kiting scam. Apparently someone at MSNBC decided they should follow Rachel Maddow’s example and come out of the closet. As extremists, that is. No more pussyfooting around claiming they’re moderates. They’ve even given up claims that they’re merely liberal and gone straight to extremist. The new ad campaign gives each of the hosts a chance to one-up the others by revealing just how out there they are. Lawrence O’Donnell doesn’t think Barack Obama is liberal enough. Probably doesn’t think Stalin was, either. Don’t loan Rachel Maddow money. Since she seems to think the country’s finances are in great shape we’d hate to see what her checking balance looks like. Ed Schultz is a regular guy. A Cheers bar, neighborhood diner kind of guy. Oh, yeah, and a guy who hates big business. Pray to God you don’t get stuck with the stool next to him at the diner. Poor Chris Matthews. Looks like all the other good commercial ideas were taken, so he got stuck with the birther concept. Wal-Mart has ended it short, ugly experiment with political correctness. 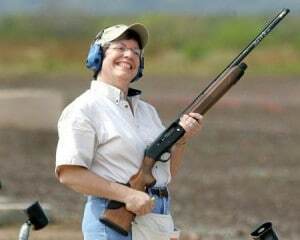 The retail giant stopped selling rifles, shotguns and ammo in hundreds of its stores in the United States five years ago, but has seen the error of its ways. The world’s largest retailer stopped selling hunting rifles and bullets at all but a third of its U.S. stores five years ago, citing diminishing sales. It is now restoring them to hundreds of locations, bringing the total to nearly half of its more than 3,600 U.S. namesake stores, as part of a larger push to restore “heritage categories” of merchandise such as fishing rods and bolts of sewing fabric that it removed in an attempt to go upscale that backfired. The Bentonville, Ark., retailer is in the midst of its worst-ever U.S. slump—with seven consecutive quarters of sales declines at stores open at least one year—and has begun a major retooling of its U.S. operations in a bid to go back to basics and re-establish the formula of broad assortments and “everyday low prices” that late founder Sam Walton made famous. Department of Homeland Security (DHS) Secretary Janet Napolitano today announced the expansion of the Department’s national “If You See Something, Say Something” campaign to hundreds of Walmart stores across the country – launching a new partnership between DHS and Walmart to help the American public play an active role in ensuring the safety and security of our nation. Do you swear to tell the truth, the whole truth and not to crap on the witness stand? There are days when this blogging business is like shooting fish in a barrel. On second thought, we better not talk about shooting any fish in this story because, well, that might violate their rights. An Australian academic, Dr. John Hadley of the University of Western Sydney, has broken new legal ground by suggesting the setting up of courts to protect property rights for animals. No. Really? An academic came up with this concept? Who ever would have suspected. Certain difficulties seem to lie in the way, however. How will Counsel take instructions from clients? How will questions of undue influence be avoided in the case of less intelligent creatures? (Wombats and the like are not generally distinguished by their brain-power.) Who will have locus standi in cases of sheep owned by farmers? Should the creatures concerned decide to bequeath their property, how are wills going to be witnessed and proved valid? Another problem: koalas are said to be permanently drunk on the alcohol fumes from the eucalyptus-leaves that form their diet. Here again forensic difficulties may arise. 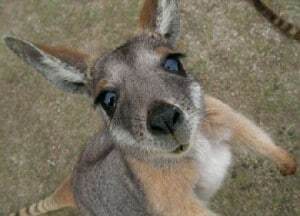 There is nothing more magnificent in nature than seeing a kangaroo gracefully bounding across the Australian outback. And nothing more asinine than seeing an animal activist chasing behind to inform it of its rights. As the United States dollar swirls down the drain of international finance, the House of Representatives has its eye on bigger battles: Should the Capital Cafeteria be using Styrofoam cups or paper cups? 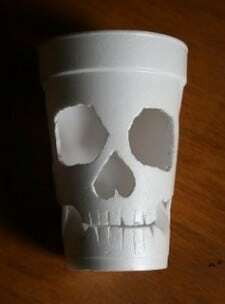 Democrats fear the dreaded Styrofoam cup of death. Republicans fear spending money. We fear they're all morons. Styrofoam causes cancer? We’re not saying it’s not true, just that we’ve never heard that one. Of course, according to “researchers” everything causes cancer, so what the hell. Why not Styrofoam, too. Absolutely. We can’t tell you how many times we’ve lamented having to use compostable cups. Far as we’re concerned, and we think you’ll agree, carcinagenic cups give your lunch a special tang that compostable cups just can’t match. Good lord, these people are complete buffoons. We think we could use compostable drink right about now. I’ve provided additional information today about the site of my birth. Yes, I was in fact born in Hawaii on Aug. 4, 1961. Over the past 2 1/2 years I have watched with puzzlement this controversy. Normally I wouldn’t comment on this. But the prominent news story was about my birth certificate, not the budget. I want to make a larger point. We have enormous issues we are facing. Which will generate huge and fierce debates. We are not going to be able to come together in a bipartisan fashion if we get distracted by sideshows and carnival barkers. I have every confidence that the US will come out on top. We assume that when President Obama called Donald Trump a carnival barker, he doesn’t actually think Trump stands on the midway and lures suckers in to play rigged games of chance. Based on Obama’s performance as President, we’re not sure if it’s supposed to be an insult or a compliment. 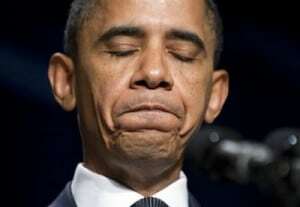 Is Obama’s “birth certificate” a forgery? When BigFurHat, a self-acknowledged PhotoShop and Illustrator expert, shows us incontrovertible evidence that Obama’s 1961 birth certificate shows signs of being created with computer programs that didn’t exist in 1961, we have to listen. We’d try to explain this stuff, but we wouldn’t have a clue what we were talking about. And we try to save that for our political commentary. Watch this video. And read BigFurHat’s analysis over at iOwnTheWorld.com. Hmmmmmmm. What do you think? 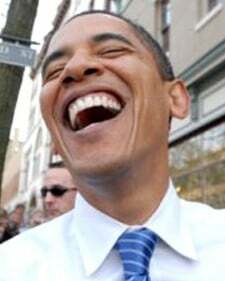 We’re always told by our liberal friends that Barack Obama is brilliant and as as proof of that brilliance they pull out the fact that he was president of the Harvard Law Review. Uh-oh. Now a new article calls that evidence into question. 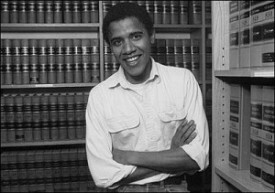 Barack Obama became President o the Harvard Law Review thanks to affirmative action. He became an effeminate male model all on his own. Before our liberal readers start saying, “Yeah, where’d you get that? Fox News?” we should point out that it comes from the Harvard Crimson. And we assume we can trust the liberal Harvard Crimson to report accurately on the liberal Harvard Law School. In 1981, all 80-some editors except one were white, and it would be another decade before the Review elected its first black president, Sen. Barack H. Obama, (D-Ill.) Fewer than a dozen of the editors on the Review were women, although Susan R. Estrich, the law professor and Democratic political operative, served as the Review’s president in 1977. It was then that the saga of the Law Review’s affirmative action program began, when the editors adopted a race- and gender-conscious policy by a 45 to 39 vote, to the vehement opposition of some faculty members. Several months of intense debate and negotiations ensued between the Review and the faculty, at the end of which the Review began for the first time considering factors other than merit in choosing its members. Prior to 1981, law students could join the Review either by being among the top five students in their first-year sections—each class used to be divided into four sections—or through a combination of their grades and their scores on an annual writing competition, a process designed to preserve absolute objectivity. But the 1981 editors felt it necessary for their admission policy to take into account the underrepresentation of minorities and women. Under their modified plan, the top four students in each first-year section would still be elected to the Review, but the fifth spot would be reserved for the top-scoring minority student among the top 25, and if no such minority student existed, the fifth spot would go to the woman with the highest grades. Two days after the adoption of this policy, three editors—including one woman—resigned in protest. 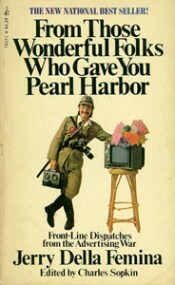 In response, the Review’s leadership convened to reconsider their plan, opting for a non-quota system that would merely take race and gender into consideration. But despite the modification, the Review continued to encounter opposition from students, alumni, and most importantly, from the faculty. 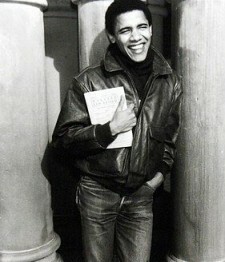 The first Affirmative Action President. We’ll leave it up to you to figure out if we’re talking about the Harvard Law Review or the United States of America. Read the whole article at the link immediately below. Muslim clerics in Indonesia have outlawed a popular dance known as the poco poco. Aging sexpot Charo and Italian President Berlusconi reportedly breathed big sighs of relief that that neither the coochie coochie nor the bunga bunga were outlawed. Islamic clerics in Malaysia are firm on their ban on ‘poco-poco’ a popular dance form, claimed of having Christian roots, despite the country’s National Fatwa Council’s decision to allow the dance. The Perak Fatwa council’s Mufti, Harussani Zakaria, said the state fatwa council was convinced that the dance contained elements of Christianity and spirit worship. “We will not back down on our decision. It is final,” the Star quoted Zakaria, as saying. Quick. Someone check with the Muslim clerics in American Samoa. We want to make sure the poco poco is still legal in Pago Pago. Here’s a video of Indonesian school teachers doing the poco poco. When the dance begins you can hear the audience go into a Christian proselytizing frenzy. The President’s schedule was so jam-packed yesterday that there wasn’t even enough time to squeeze in a round of golf. But rest assured that he took care of the important things – taping an appearance on Oprah and attending three campaign fundraisers in the Big Apple. And in between he reduced unemployment, saved the economy and personally assassinated Muammar Gadaffi. CBS White House correspondent Mark Knoller was so amazed at Obama’s dereliction of duty that he tweeted about it. 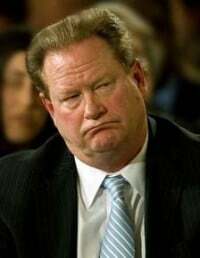 Ed Schultz achieved the almost unachievable on Friday, April 22. On that night he lost a remarkable 61% of Rachel Maddow’s lead-in audience. And it’s not like her ratings were anything to brag about. As you can see in the following chart, MSNBC was rolling along with decent ratings – by MSNBC standards, that is – until Schultz hit the airwaves. Then it appears that leftists across America jumped for their remote controls and tuned in somewhere else. Anywhere else. Not only does Ed lose 61% of Maddow’s audience, but the 11:00 rerun of Lawrence O’Donnell’s 8 p.m. show falls just 1,000 viewers short of Ed’s total. And the rerun isn’t even in prime time hours. We’d call this an embarrassing performance, but it’s worse than that. Wholesale rejection by MSNBC’s niche audience may just be a one-way ticket back to North Dakota for Big Eddie. Our advice? Don’t sign any long term leases, Ed. No one has died from radiation at Fukushima. Anti-nuclear activists hardest hit. 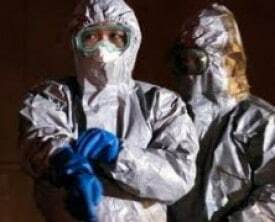 You may be surprised to learn that no one has died from radiation at the Fukushima nuclear power plant. And that must be killing anti-nuclear activists, because nothing would do more for their cause than nuclear radiation raining death down on thousands. No one's died. No one's sick. Well, that's not quite true. The anti-nuke people are pretty sick about it. Amazingly, despite the devastation of the site, there have been no radiation-related deaths at Fukushima so far, and only two workers have been hospitalised as a precaution. The only people to have perished at Fukushima were a man who became trapped in the console of a crane during the earthquake and two who were swept away by the tsunami. The entire toll from the earthquake, remember, is estimated at about 25,000. No effects on health or significant contamination cases have been identified among the general public evacuated from the area, despite the fact the accident has devastated the plant, and involved fires, explosions, and releases of radioactivity. If there is a single lesson from Chernobyl for the Japanese, it’s that in the years to come misinformation is likely to be more dangerous than radiation. So just as more people died in Teddy Kennedy’s car than at Three Mile Island, more people died in a crane at Fukushima than died of radiation. "I just flew in from Washington, DC and, boy, are my arms tired. Take my wife. Please. I have a strong dollar policy. Thank you Thank you very much. I'll be here all week." US Treasury Secretary Timothy Geithner vowed Tuesday that the United States would never follow a strategy to weaken the US dollar.”Our policy has been and will always be, as long as I will be in office, that a strong dollar is in the interest of the country,” Geithner said at a New York conference organized by the Council of Foreign Relations. It was the first time this year that Geithner had publicly proclaimed a US strong-dollar policy, a mantra of treasury secretaries for more than a decade. 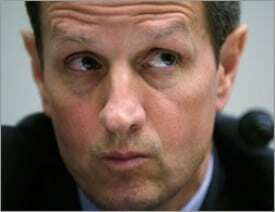 The words “Tim Geithner” and “strong dollar” should never be used in the same sentence. Tim Geither is to strong dollar as Jeffrey Dahmer is to vegan. 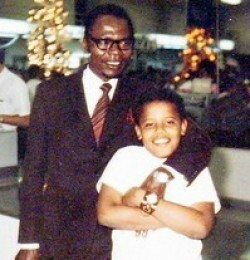 Seen in that light, this childhood photo of Barack Obama and his mother Ann Dunham seems to explain a lot. 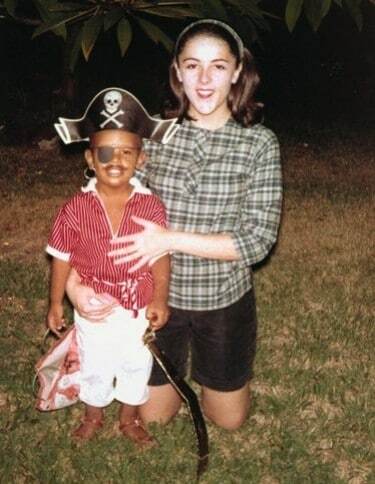 Even as a child Barack Obama was a pirate. You know, a swashbuckler whose philosophy was, “What’s mine is mine and what’s yours is mine.” A scoundrel willing to sail under a flag other than his country’s. In burying treasure that will never again be found. In making his enemies walk the plank. Yes, the analogy holds up pretty well until you get to the part about Obama bowing to kings. We can’t explain that. Good lord. The man’s ego is bigger than his biceps used to be. 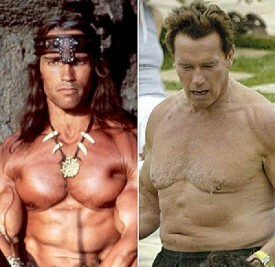 Arnold Schwarzenegger can’t be president of the United States so he wants to become president of the European Union. The Austrian-born former body builder, 63, at loose ends as he tries to figure out what his next act should be, reportedly is being advised by aides to return to his native Europe to run for the EU presidency, Newsweek reported. “In the next few years, the EU will be looking for a much more high-profile president — somebody who can unify Europe,” Schwarzenegger’s chief of staff Terry Tamminen told the magazine. “The French won’t want a German, and the Germans won’t want an Italian. How about a European-born person who went off to America and — could return to be the Washington or Jefferson of a new unified Europe?” said Tamminen, all but nominating his former boss for the job. We haven’t heard of any Europeans clamoring for President Arnold, but we must admit it does make a certain amount of sense. Arnold has experience running a socialist state, spending billions of dollars more than he brings in, and ignoring the fiscal precipice toward which he’s racing. He may be exactly what the Europeans are looking for. 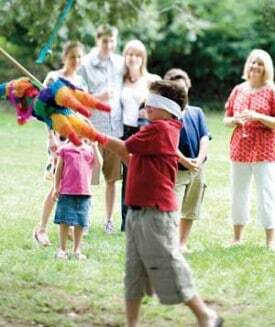 Pinatas: A bad idea for your child’s party? Piñatas are not a good idea for your child’s party. Children should never hit anything with a stick. Even worse, kids can get piñatas in their favorite character too. Doesn’t anyone slightly cringe at the thought of their child whacking Dora the Explorer or Elmo around with a baseball bat? What is that doing for a child’s character? Getting a flower or car piñata is only slightly less worse. The article was written by Vanessa Bartlemus, whose bio indicates that she has degrees in Journalism and Psychology. Either one of which makes us want to whack her with a stick.